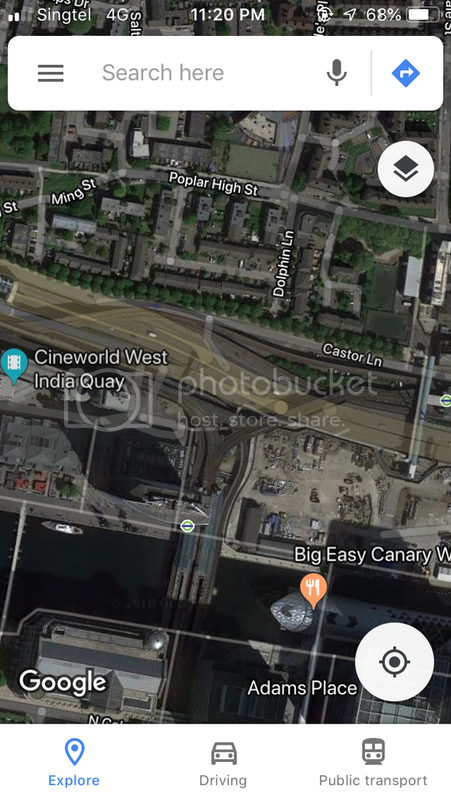 Actually, to solve the Bahar Junction confusion, we just need to look at West India Quay station of the Docklands Light Railway in London, United Kingdom. Honestly, I’ve looked for similar railway systems in other cities. No other system in the world has an arrangement that is as ambiguous as the possible “round robin” routing as the JRL (West). And I don’t think the government would want to take the political risk of making people do transfers at Bahar Junction station, if it can be avoided. As I’ve said, the answer could be at West India Quay station. The alignment of the tracks north of West India Quay station, if adapted to Jurong West Avenue 4 and Jurong West Street 75 where Bahar Junction station would be located, actually explains why there would be two stations for Bahar Junction station. Simply put, JRL Bahar Junction station is going to be like the West India Quay station on the Docklands Light Railway. By adding another station at Jurong West Street 75, it actually avoided the situation whereby trains had to miss Bahar Junction station due to the track alignment, as what is happening at West India Quay station on the Docklands Light Railway. Then again, we should wait for the official track alignment on the government maps, such as onemap.sg or the URA master plan, when they are updated. And having said that, the Straits Times graphic, where everyone referred to and got the idea that JRL (West) would run in a round-robin fashion, is only an illustration. Straits Times is not an official source of information when it comes to the Jurong Region Line. But hopefully, all the train connections on the JRL (West) would have direct train connection in both directions. That turning looks a bit tight (like from Esplanade to Promenade kind). I suspect that the blue and black line (as in your map) will be together in a island arrangement, while the purple line (as in your map) will be a side platform located beneath the island platform, so that the blue and black line will have more space for turning. Yea to feel that the JRL is built AROUND existing developments, instead when back in the 80s, when the MRT was built by itself. The alignment of tracks between Gek Poh station and Tawas station has been revealed, at the HDB map of Jurong West showing the upcoming BTO flats to be launched in February 2019. As much as everybody don't want to acknowledge, the tracks will run along the gap between Pioneer Primary School and Blk 863 / 864. Or maybe the bend in Bahar Junction station overlays the Jurong West Street 64 station, and allows for bi-directional train services between the Jurong West Avenue 4 station and Boon Lay station. No through service between Choa Chu Kang and Peng Kang Hill, and passengers will have to transfer at Bahar Junction station for such connection. On the other hand, I don't think there are plans to build a bend between Jurong West Street 75 and Jurong West Avenue 4, to provide a shorter connection between the JW branch (Bahar Junction - Peng Kang Hill)(name derived from the LTA line codes of the JRL stations, found at the latest LTA map on the LTA website) and Tengah depot, that's why they are building a stabling facility near Peng Kang Hill station, as otherwise trains have to turnover at Boon Lay station (before Jurong Pier station opens) or Jurong Pier station, to connect between the JW branch and Tengah depot. Just my two cents worth. Please share with your fellow colleagues, and hopefully this would generate a better understanding about the Jurong Region Line among everybody. This HDB map just to let everyone knows where the location of MRT station is, doesnt really need the actual track layout which they won't bother. Pioneer Primary School has to go. But wherever it goes has got nothing to do with this topic, so let's let MOE decide what to do about it while we just focus solely on the JRL. That's point number one; Pioneer Primary School definitely has to make way for the JRL. 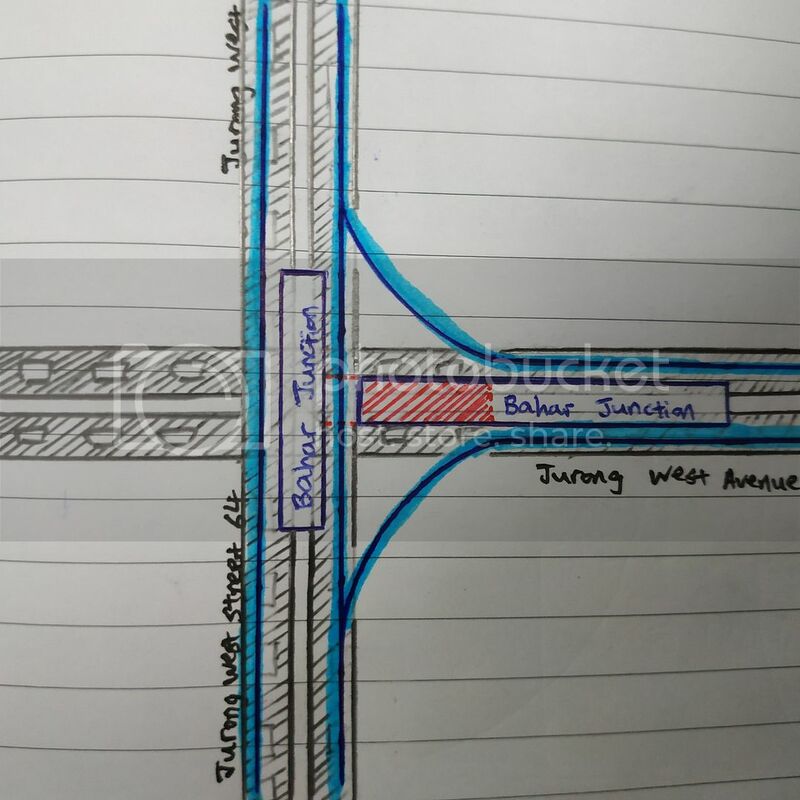 First of all, the area around the proposed Bahar Junction station has no space to accommodate bi-directional viaducts to connect between Jurong West Avenue 4 and Jurong West Street 64, and between Jurong West Avenue 4 and Jurong West Street 75, in both directions. The JRL construction blog has already written comprehensively about it. I just want to share one possible theory which I think may happen when JRL commence revenue service. The track alignment agreed by many is probably what's going to happen, just that maybe there would be another track at the Jurong West Street 64 station, to provide for the Peng Kang Hill to Jurong Pier service in both directions. 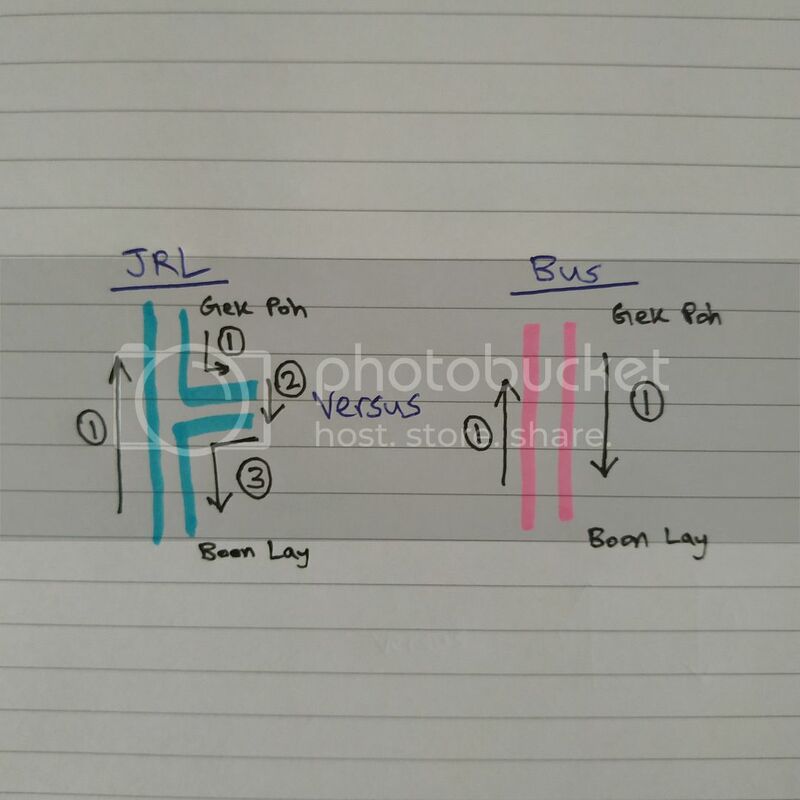 this is very confusing, and would mean that no existing bus service running along the Jurong West Street 64/75 stretch can be amended to reduce duplication of resources when JRL opens, thus leading to an excessive use of resources as the JRL could not really substitute the existing bus services along Jurong West Street 64/75. And because the singular loop is confusing, the local community may actually avoid the JRL as they may not be used to taking different routes between their house and Boon Lay MRT station. 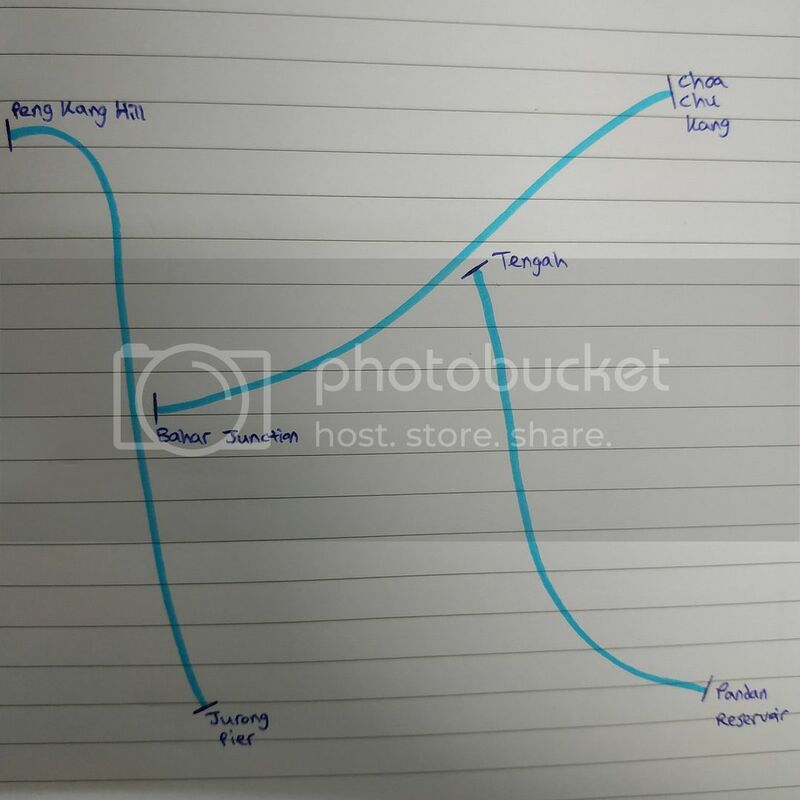 Also, the HDB map (http://esales.hdb.gov.sg/bp25/brochures/...st-map.pdf) shows no curve around Bahar Junction station, which could mean that any curve constructed around Bahar Junction station is probably a non-service track, just one connecting track, to connect the trains between branches. As stated in the national day rally in 2014, the industrial area south of Boon Lay MRT Station will be redeveloped into residential area. There would be less reasons for people on the Bahar Junction - Choa Chu Kang branch to change trains at Bahar Junction and take the train in the direction of Jurong Pier, apart from working at Jurong Island area or to transfer to the cross island line. As commuters on Bahar Junction - Choa Chu Kang branch can transfer to the North South Line at Choa Chu Kang, or transfer to a future line at Tengah if there is such a line being planned, there may be less of a need to take the JRL to Jurong Pier to transfer to the cross island line, when Tengah and Choa Chu Kang are nearer and would make their commute faster. And that's my second point, about the possible JRL services in Jurong West. I'm sorry if I've been irking people by continuously writing about the Pioneer Primary School stretch and about Bahar Junction station. This shall be my last post with regards to the above. Trains for JRL called "J151". About the Jurong Region Line, the speculation has been that Pioneer Primary School would be affected. Someone even went to change the status of the school on Google Maps to "permanently closed", only to get reported later. The reason why there's this speculation is the lack of detailed alignment published by LTA. Naturally, one would think that Jurong Region Line would cut through Pioneer Primary School as that is the straightforward alignment. Finally, a member of the public wrote to the press to ask the authorities whether Pioneer Primary School would be affected by the Jurong Region Line. Today, the Principal of Pioneer Primary School responded. "We wish to assure students, parents and stakeholders that the JRL will not affect school operations, or the stability and safety of our school buildings." Please make this letter viral, to debunk the speculation once and for all. Moral of the story: When in doubt, ask. In this case, everyone's assumption was wrong. We really got to thank the member of the public for clarifying the matter with the authorities. Otherwise, this speculation will only keep going on without any clarity until the construction takes place and the Jurong Region Line completed. And by then, it's 2026, 7 years later. I hope everyone can finally wake up from this, and move on. The URA draft master plan has been unveiled, which features the alignment of the Jurong Region Line. 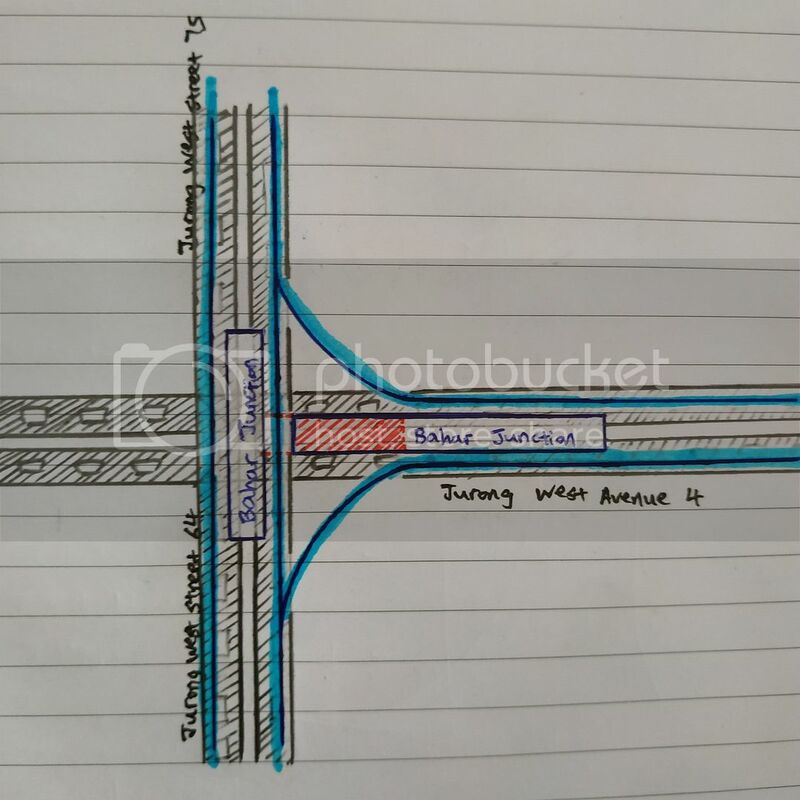 The alignment at Bahar Junction Station is really just 3 tracks, as shown in the JRL construction blog, which means the service pattern is really that ambiguous pattern as shown in the The Straits Times. Commuters headed to Choa Chu Kang from Boon Lay have to walk quite far to switch platforms. I am quite suspicious about the CRL overrun tracks after Bright Hill to be turning towards the Direct CCNR Alignment. History has shown that rail systems that only run in one direction over a huge circle are not popular with the commuters and are closed down eventually. An example is our very own Sentosa Monorail which was closed down in 2005. Thus, I do not believe the authorities would actually want to run the Jurong Region Line in a round-robin arrangement and potentially make Jurong Region Line an unattractive public transport system as people would rather take the bus than to take the Jurong Region Line, given that a round-robin arrangement would only give the commuters a direct connection for one way only; the other way would have to change trains at Bahar Junction, which would make it very tedious. 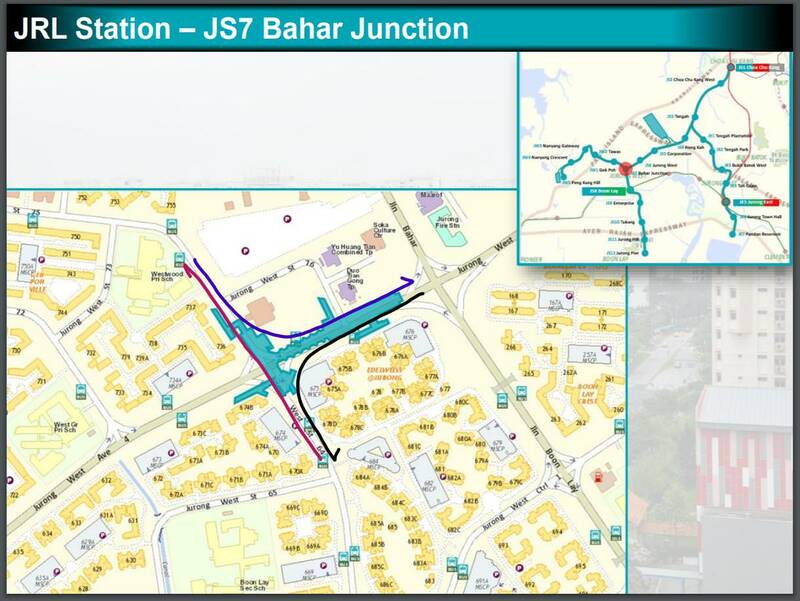 For Bahar Junction station, it is likely that there is another track at the platform along Jurong West Street 64, running parallel to the one that is shown on the map. This track is hidden from view. The single turning track at the turning sections mean that they are probably only for trains to connect to/from Tengah Depot, or the Peng Kang Hill Stabling Facility, or between Peng Kang Hill Stabling Facility and Tengah Depot. Of which given the layout of the tracks, the Bahar Junction - Choa Chu Kang line and the Tengah - Pandan Reservoir line would not be able to extend beyond Bahar Junction and Tengah respectively. Some commuters may still have to change trains at Bahar Junction to transfer between the Peng Kang Hill - Jurong Pier line and Bahar Junction - Choa Chu Kang line. But the same applies for commuters changing trains at Tengah to transfer between the Bahar Junction - Choa Chu Kang line and Tengah - Pandan Reservoir line. But at least this provides bi-directional connections for all routes, and appeals to the majority of commuters who may not need to change trains when travelling on the three lines of the Jurong Region Line System. There are two pairs of tracks, one running between Hong Kah Station and Tengah Station (for the Bahar Junction - Choa Chu Kang line), and another pair running out of the pair of tracks at Tengah Station to connect with Tengah Plantation Station (for the Tengah - Pandan Reservoir line). This layout is similar to the Circle Line main line between Harbourfront and Dhoby Ghaut, and the Circle Line branch line between Promenade and Marina Bay. Based on the Circle Line, it is possible that the Tengah - Pandan Reservoir line may extend further to Choa Chu Kang and run parallel with the Bahar Junction - Choa Chu Kang line between Choa Chu Kang and Tengah. Meanwhile, there are three single track running from Tengah Plantation Station to Hong Kah Station, from Tengah Depot to Choa Chu Kang West Station (apparently bypassing Hong Kah Station and Tengah Station), and from Hong Kah Station to Tengah Depot. This layout is weird. There is a pair of tracks running between Tengah Depot and Corporation Station. 1. The Tengah - Pandan Reservoir line would almost certainly be extended to Choa Chu Kang and run as the Choa Chu Kang - Pandan Reservoir line, together with the Bahar Junction - Choa Chu Kang line. 2. Tengah Depot would feed trains to Corporation Station and Choa Chu Kang West Station, and receive trains from Corporation Station and Hong Kah Station. 3. This arrangement, although unusual, is good, because it reduces the number of stations to send trains to and receive trains from, given that Tengah Depot will primarily serve the Bahar Junction - Choa Chu Kang line and Choa Chu Kang - Pandan Reservoir line. Instead of four pairs of tracks (thus eight tracks)(and connecting to four stations in total) to feed and receive trains for two separate lines, this arrangement would technically have five tracks and connect to three stations (Corporation, Choa Chu Kang West and Tengah Plantation), thereby making it easier to manage. For the reasons I have explained above. 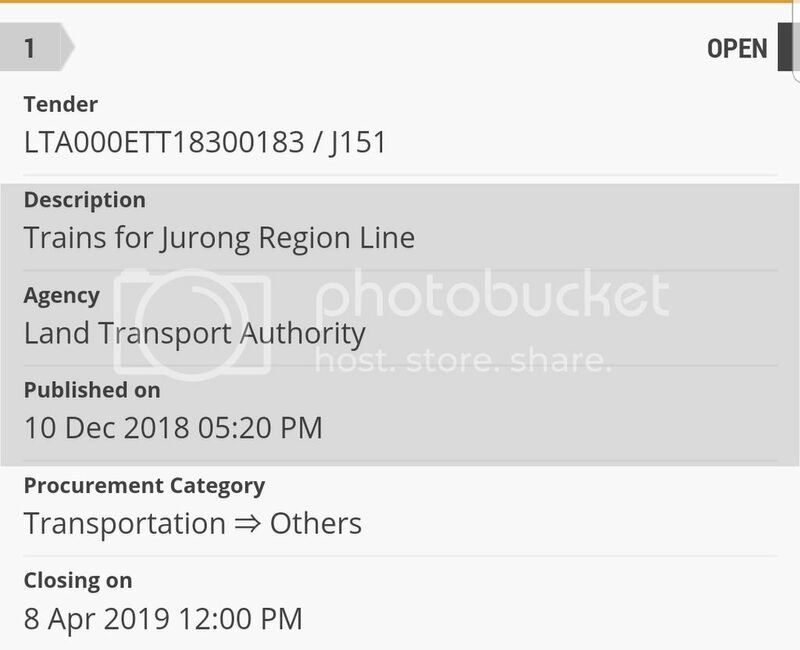 For easier navigation, the authorities may want to publicize the Jurong Region Line as three separate lines, with three different colours and three different sets of line code. Which means, the stations between Choa Chu Kang Station and Tengah Station will have two different sets of line codes, similar to Malaysia's Ampang Line and Sri Petaling Line. Extensions to the Jurong Region Line are possible at Pandan Reservoir Station (which is the West Coast Extension currently under study) and Choa Chu Kang Station, only. Peng Kang Hill Station not possible because it goes into SAFTI miliary institute. 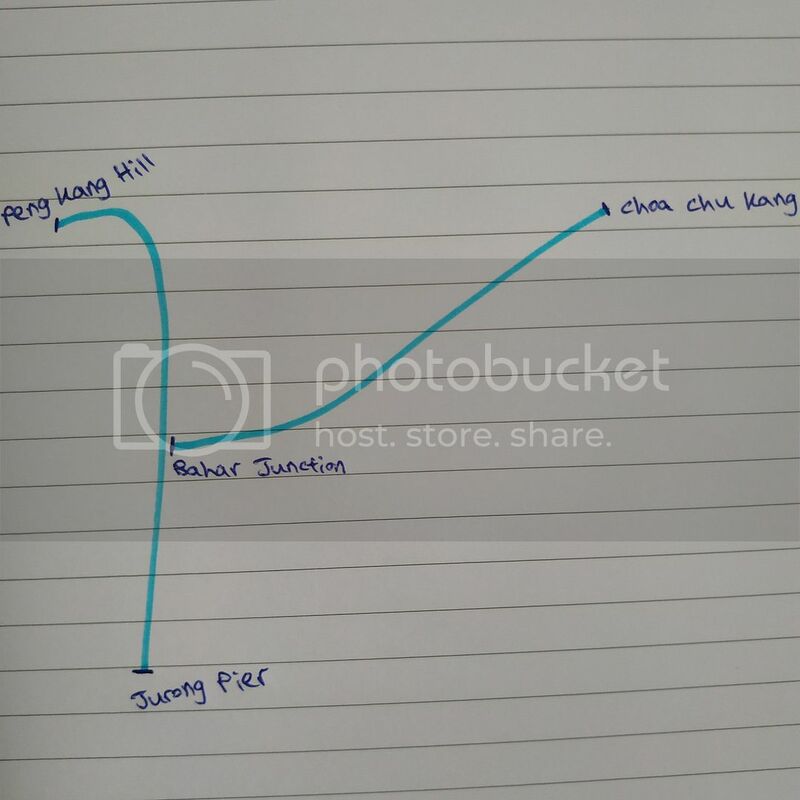 Bahar Junction Station (for the Bahar Junction - Choa Chu Kang line) not possible because the tracks connect to the Peng Kang Hill - Jurong Pier line (Jurong Pier bound) after Bahar Junction. 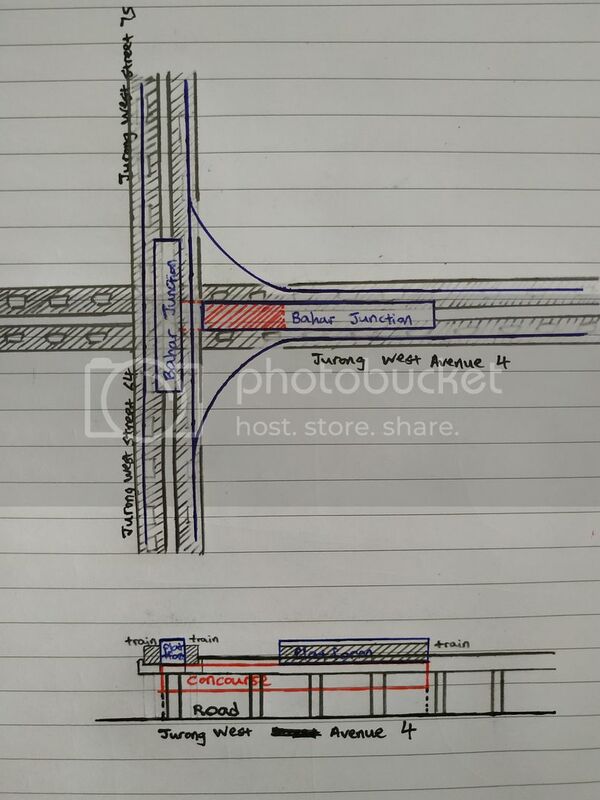 Furthermore, the layout of Bahar Junction Station may not allow tracks of the Bahar Junction - Choa Chu Kang line to run onto Jurong West Avenue 4 and beyond. For the extension beyond Pandan Reservoir Station, it is already announced; the West Coast Extension. But for the extension beyond Choa Chu Kang Station, even though it can run towards Yew Tee and up to Lim Chu Kang, a better alternative could be to run a line from Kranji Station on the North South Line into Lim Chu Kang, which may be shorter, and definitely serve more people. Sorry for the long post. 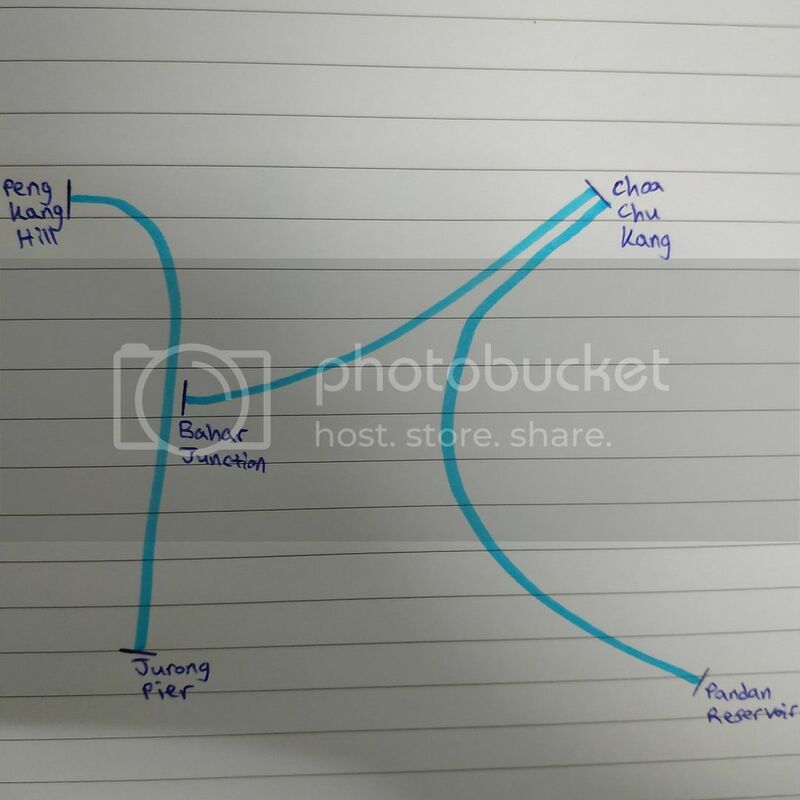 But I have pretty much analysed everything there is to know about the Jurong Region Line, that is known right now, except for the more specific components like the train model and faregate model, screen door model, which would only be known nearer to the opening of the Jurong Region Line in 2026. Current time: 26 April 2019, 10:36 AM Powered By MyBB, © 2002-2019 MyBB Group.